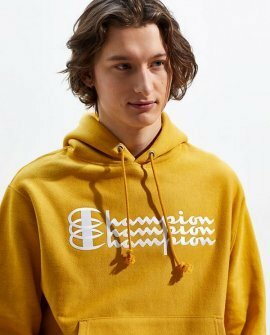 UO-exclusive hoodie from Champion featuring a triple script logo at the chest. 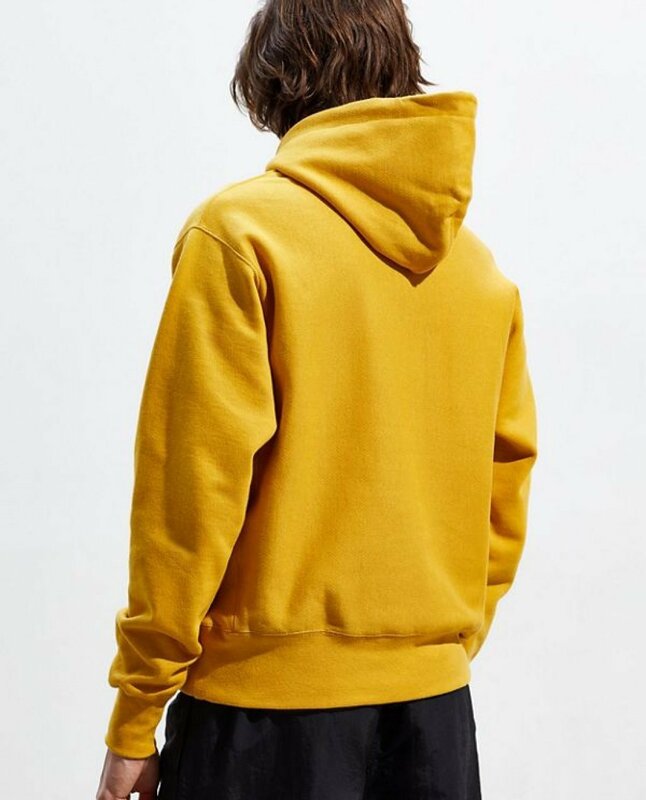 Plush reverse weave fleece pullover offers ribbed banding at the cuffs + hem for a perfect fit. 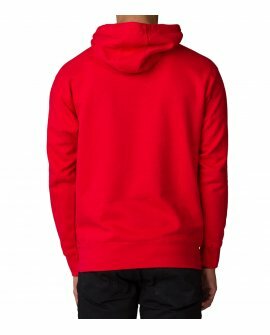 Complete with an adjustable hood, front kanga pocket and a mini embroidered logo patch at the left sleeve. Champion has been offering its innovative athletic apparel for men and women since 1919.